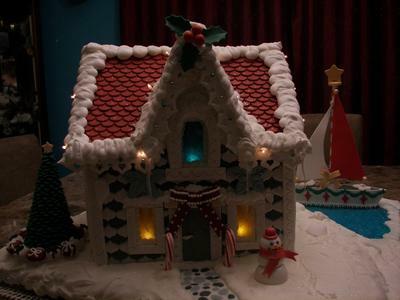 This creation was themed for a winter coastal scene made from gingerbread, gum paste, candies, edible beads and royal icing. 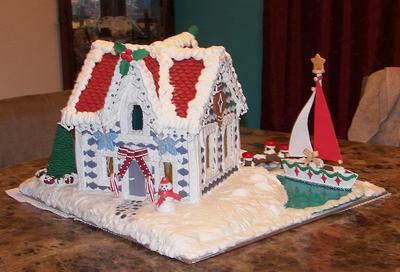 The whole creation was built around the sailboat I crafted from gum paste. I wanted to make something different and fun with some brighter colors for the contest I entered this year (it was my first! ).